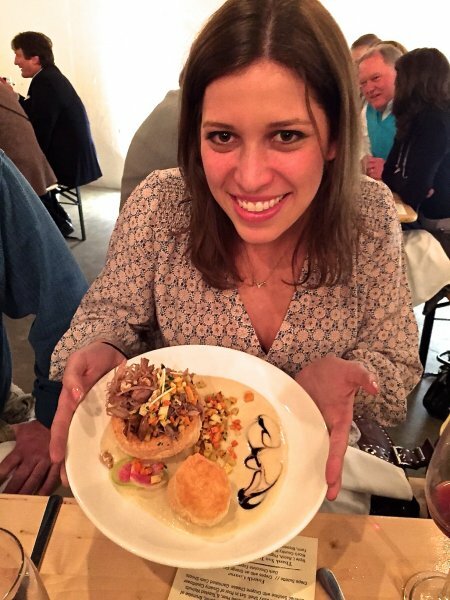 Chef Brittney Blackshear stepped off her Crepe A Diem Food Truck to prepare a wonderful French-inspired four-course dinner at Nashville pop up. 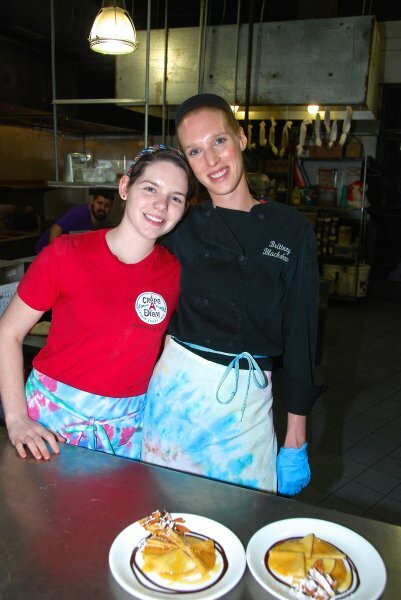 Over 50 guests who crave and enjoy all things local enjoyed Chef Brittney take her next step in her culinary journey. 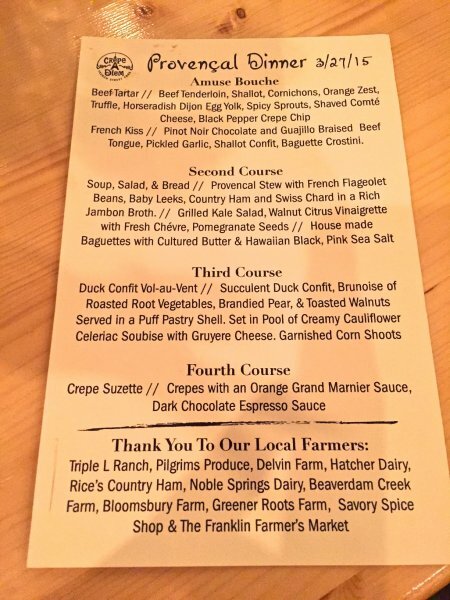 We applaud the menu and all local foods provided by Triple L Ranch, Pilgrims Produce, Delvin Farms, Hatcher Family Dairy, Rice's Country Ham, Noble Springs Dairy, Beaverdam Creek Farm, Bloomsbury Farm, Greener Roots Farm, Savory Spice Shop and the Franklin Farmers Market. 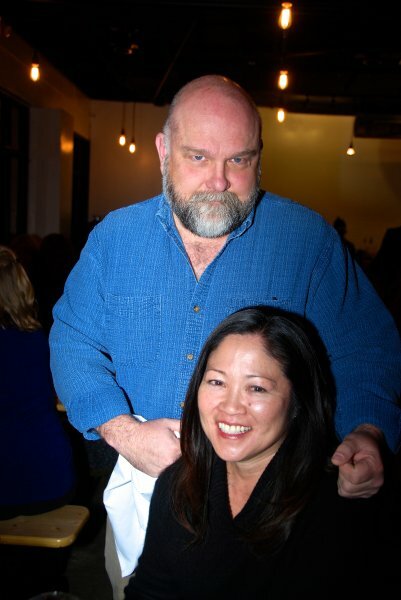 Thank you, Chef Brittney and staff for a special evening of great local food!